The #TradesTalk bunny has hopped across its three favourite websites: Professional Builder, Professional Electrician and Professional Heating and Plumbing Installer hiding twelve numbered eggs for the readers to find. And anyone finding all twelve eggs will be entered into the draw to win one of three #TradesTalk limited edition Easter bundles up for grabs. This fantastic prize contains brand new products from well-known brands Big Wipes and Wera, accessories from Jobman and some treats from the magazines. 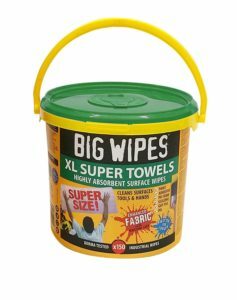 Big Wipes has added its brand new XL Multi-Surface wipes to our Easter bundle. They’re super-sized and super-absorbent which is ideal for tackling large filthy surface areas and reduces the number of times you have to return to the tub for another wipe. The super-absorbent, needle-punched fabric locks in moisture allowing them to stay ‘wetter for longer’ as well as the new and improved ‘click-shut’ lid. These wipes also have a layer of thirst pockets to help capture and lock in more dirt and grime. To ensure you’ll never run short, these XL Multi-Surface wipes are being sold in a reusable and recyclable bucket, containing 150 wipes. 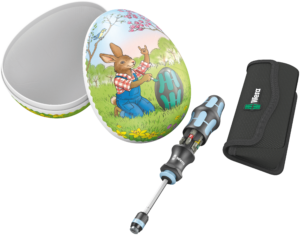 Wera has thrown in actual Easter eggs into our bundle, but there’s a twist…These Easter eggs are calorie-free and filled with compact tools! In a solid eggshell, with a traditional design, you’ll find a screwdriver with six stainless steel bits stored in the handle. This compact tool has a retractable telescopic blade and Rapidaptor universal holder to ensure flexible use. It also comes with a sturdy storage bag, both for protection and easy carrying. 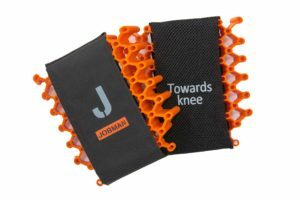 Jobman is putting its advanced kneepads, worth £37, into our bundle. These kneepads are made of Thermo Plastic Elastomer, designed for all-day use. The kneepads’ unique cushioning reduces both knee and back pain and recovers to its original shape after use. 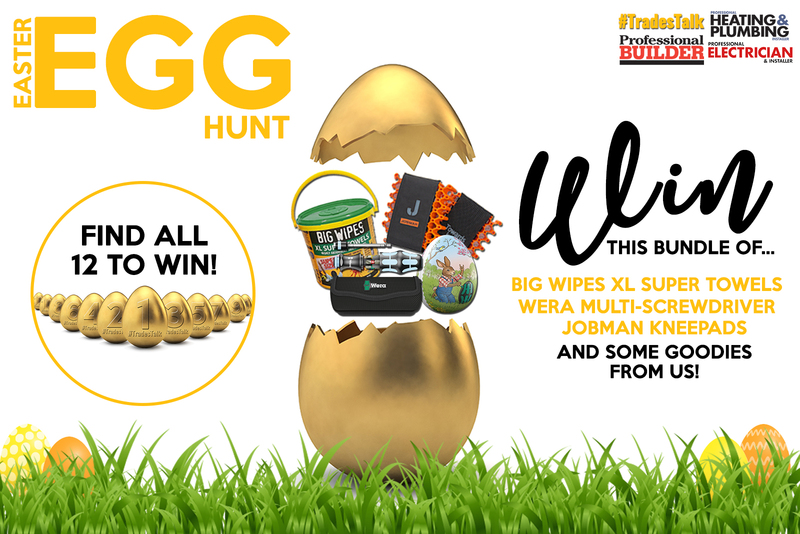 As well as all of the fantastic prizes from Big Wipes, Wera and Jobman, there are a few treats from us in this Easter bundle. These consist of the latest issue of the magazine, a T-shirt, a #TradesTalk sticker and a chocolate surprise. Find the twelve Easter eggs hiding across the Professional Builder, Professional Electrician and Professional Heating and Plumbing Installer websites. Entries close at midnight on Monday the 22nd of April 2019 and the winners will be announced on our social channels on Tuesday the 23rd of April 2019 (usual T&Cs apply). Good Luck! I would like to opt into emails from Professional Electrician and carefully selected third parties.